City Council's Commission B asks Jakarta Provincial Government to use products made by OK OCE entrepreneur participants in every SKPD and UKPD activities.
" It should be started from provincial level"
"It should be started from provincial level. 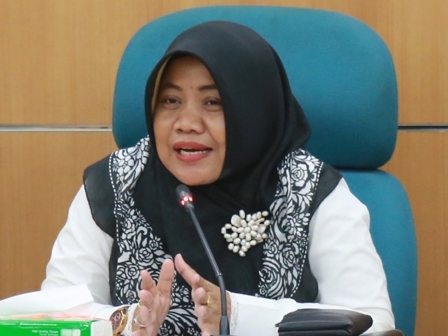 Then we will encourage city level to empower OK OCE entrepreneurs thus their business can be developed," stated Yusriah Dzinnun, Head of Commission B, Tuesday (2/6). Such as to order catering for SKPD and UKPD meetings. She mentioned, Jakarta Government should use products from OK OCE entrepreneurs beside ordering products from famous entrepreneurs. "Related department can facilitate from its permission to marketing. It should be started from its institution before recommend it to the others," she expressed. In t hat way, she hopes products from OK OCE entrepreneurs are not only distributed to stores, but also to government institutions.